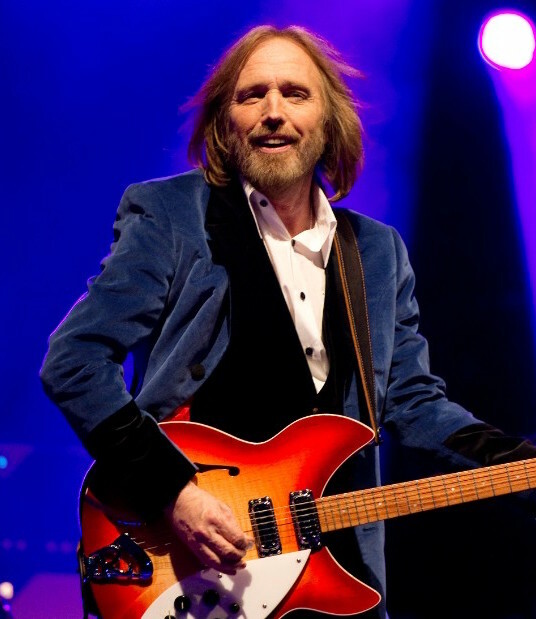 Last week the rock star Tom Petty, who has died after suffering a cardiac arrest aged 66, and his band, the Heartbreakers, completed a trio of acclaimed shows at the Hollywood Bowl on their 40th anniversary tour, which had also brought them to Hyde Park in London in July. Those recent concerts found the group roving across their entire career, featuring tracks from their 1976 debut album such as American Girl and Breakdown and pieces from their latest album, Hypnotic Eye, which was their first to become a US No 1. They ranged through landmarks such as Refugee, Don’t Come Around Here No More and chart favourites such as Mary Jane’s Last Dance and Learning to Fly. They also found room for Petty’s solo hits from his 1989 album Full Moon Fever, such as I Won’t Back Down, Free Fallin’ and Runnin’ Down a Dream. Born in Gainesville, Florida, Tom was the son of Kitty (nee Avery) and Earl Petty. Kitty worked in the Gainesville local tax office; Earl went through several jobs including running a grocery store, hawking wholesale goods from a truck to stores, and finally selling insurance. He was also a drinker and gambler who would sometimes beat his son with his belt. Tom had a brother, Bruce, who was seven years younger. Petty formed his first band, the Sundowners, when he was 14, then on his 16th birthday joined the Epics, which later became Mudcrutch. He was singing and playing bass, while on guitar was Tom Leadon, brother of Bernie, who later moved to Los Angeles and joined the Flying Burrito Brothers and the Eagles. Mudcrutch also included the future Heartbreakers Benmont Tench and Mike Campbell. Gainesville’s musical activity centred on the music store Lipham’s Music, where Petty, Bernie Leadon and the future Eagles guitarist Don Felder all worked at various times. Mudcrutch became a popular local band who could play to sizeable crowds across Florida, and in 1974 they signed a deal with Shelter Records and headed for Los Angeles. The week before they left, Petty married Jane Benyo, who was also from Gainesville. However, after their single, Depot Street, flopped and their newly recorded album remained unreleased, a disillusioned Petty quit Mudcrutch. Shelter’s boss, Denny Cordell, encouraged him to become a solo artist, but when he was invited to play on a recording session organised by Tench, Petty found himself alongside the musicians who would become the Heartbreakers – Tench, Campbell, bass player Ron Blair and drummer Stan Lynch, all from Gainesville. Petty suggested they join forces and since he was already signed to Shelter there was no need to hunt for a new record deal. Thus Tom Petty and the Heartbreakers was born, and their debut album of the same name was released in 1976. The response in the US was initially muted, but the album was pounced upon by the British music press, who appreciated Petty’s pithy songwriting and the group’s almost punk-like attitude. Helped by a UK tour with Nils Lofgren, the album reached 24 in Britain. The songs Breakdown, Anything That’s Rock’n’Roll and especially the resounding anthem American Girl became some of the band’s trademark pieces. They fared better in the US with You’re Gonna Get It! (1978), which entered the Top 30, but then the band hit a roadblock when their record label was bought out by MCA. Petty found himself bound to a highly disadvantageous contract, prompting a bitter nine-month legal battle from which he and his legal team finally emerged victorious, winning a new deal with the MCA subsidiary Backstreet Records. At one point the band had taken to wearing T-shirts bearing the motto “Why MCA?”. Petty’s first post-lawsuit release was the celebratory Damn the Torpedoes (1979), which sold 3m copies in the US, reached No 2 in the album charts, and broke Petty through to the mainstream. It contained some of his finest songs, notably Refugee, Louisiana Rain and Even the Losers, which all became radio favourites. Hard Promises (1981), released after Petty fought another battle with MCA to get the price reduced from $9.98 to $8.98, went Top 5 and delivered a Top 20 singles hit with The Waiting, though Long After Dark (1982) saw sales slacken despite a Top 10 placing. Southern Accents (1985) was the product of much angst and endless recording sessions, during which Petty became so frustrated that he broke several bones in his hand by punching a wall. However, it produced the No 13 singles hit Don’t Come Around Here No More. Let Me Up (I’ve Had Enough) from 1987 was a commercial disappointment for the Heartbreakers – this was also the year Petty’s house in Encino, California, was burned down by an arsonist – but he found huge success as part of the Traveling Wilburys, a collaboration with Bob Dylan, Roy Orbison, George Harrison and Jeff Lynne whose debut album (1988) was a triple-platinum hit, spinning off the singles Handle With Care and End of the Line. Petty then hooked up with Lynne to make his first solo album, Full Moon Fever (1989), a hit on both album and singles charts. Lynne produced the Heartbreakers’ set Into the Great Wide Open (1991), which earned major exposure for the title track, and Learning to Fly, while Greatest Hits (1993) spawned Mary Jane’s Last Dance, a smash on MTV thanks to a spooky video starring Kim Basinger. 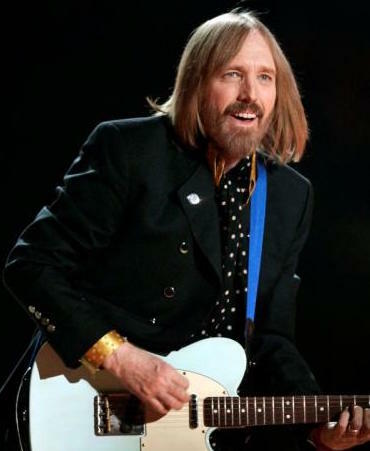 Wildflowers (1994) was Petty’s first solo disc under a new deal with Warner Bros and another multimillion seller, but after a bout of extended touring his marriage fell apart and divorce followed in 1996. A depressed Petty fell into reliance on heroin, and had to go into detox. The bleak Echo (1999) mirrored his state of mind, and sales were modest. The Last DJ (2002), a glum diatribe against music industry greed, fared even worse. Petty’s days of multimillion sales were over, but the solo set Highway Companion (2006) was musically strong, and the band bounced back with Mojo (2010) and finally Hypnotic Eye (2014). 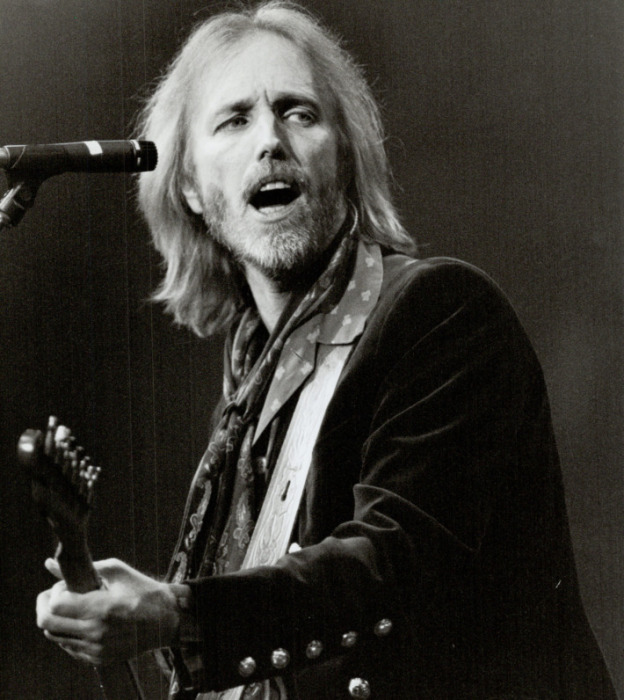 In 2008, Petty revisited his past by reforming Mudcrutch for a new album and tour. He is survived by his second wife, Dana York Epperson, whom he married in 2001, his daughters Adria and AnnaKim from his first marriage, his stepson, Dylan, from Dana’s previous marriage, his brother, Bruce, and granddaughter, Everly.